Good News Club® is a ministry of Child Evangelism Fellowship in which trained teachers meet with groups of children in schools, homes, community centers, churches, apartment complexes, just about anywhere the children can easily and safely meet with their parent's permission. Each week the teacher presents an exciting Bible lesson using colorful materials from CEF Press. This action-packed time also includes songs, Scripture memory, a missions story and review games or other activities focused on the lesson's theme. 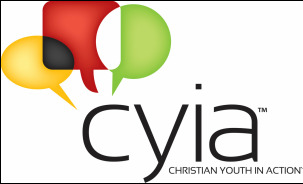 Christian Youth In Action® (CYIA™) is a program designed to train middle school to college age yourths in effective and engaging ways to teach children about God. You will attend a one to two week training school where you will learn to present the Gospel clearly on a child’s level, counsel a child for salvation and lead a dynamic club ministry for kids. Components of this club include teaching a Bible lesson, a real-life missionary story and a Bible verse as well as leading songs, games and a fun review time. 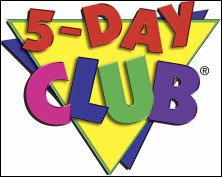 5-Day Club is an exciting, fun-filled one and one-half hour held each day for five consecutive days. It includes: dynamic Bible lessons, creative learning activities, inspiring missionary story, meaningful songs, life-changing Scripture memorization. These clubs are held throughout the summer in homes, parks, apartment complexes, churches or anywhere that children gather. The teachers are teens who have been trained through the CYIA program. The more trained teens we have the more 5 Day Clubs we can have reaching more children throughout the summer. JYou Connection™ (JYC™) is a place for middle-schoolers and young teens (age 11-14) to enjoy faith, fun and friends. JYC is a new ministry to CEF of USA as it was started in Ireland. However, many chapters around our state have started these clubs as a followup to Good News Clubs. If you have a passion for reaching and encouraging middle-schoolers, please contact your local director for more information.